A man has been arrested after rushing from the back of a cathedral to the altar, where he stabbed a priest in the chest during Friday’s morning Mass. Security guards at St. Joseph’s Oratory in Montreal quickly wrestled the suspected attacker to the ground after he lunged toward Father Claude Grou, rector of the oratory, according to CBC News. The priest was rushed to the hospital with minor injuries immediately after the sudden attack. Plamondon said Grou’s wounds were not that serious because the knife broke during the stabbing. There were about 60 people in the oratory at the time of the incident. 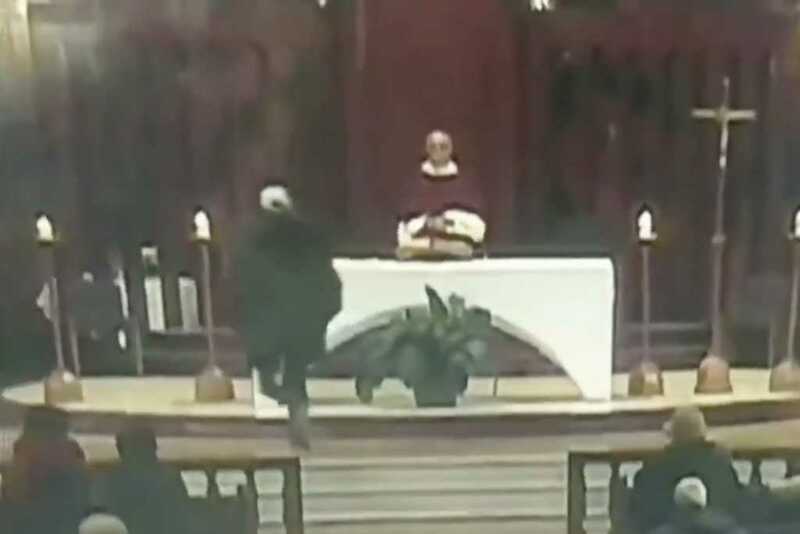 Philip Barrett, who was attending the Mass, said Grou had just stepped behind the altar and was preparing to share the Gospel when the man stood up and ran toward the priest. Grou was stabbed in the chest and was stable when he was transported to the hospital, according to Benoit Garneau, a spokesperson for the first responder agency Urgences-Santé.